6 Times Faster Than Bluetooth!!! This wireless system can be used with any metal detector. included with Z-Lynk Wireless Kit (PN: 1627100). 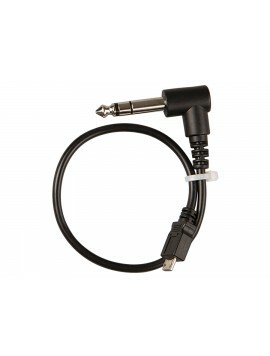 Garrett Z-Lynk Headphone Cable with 2 pin AT connector, above. 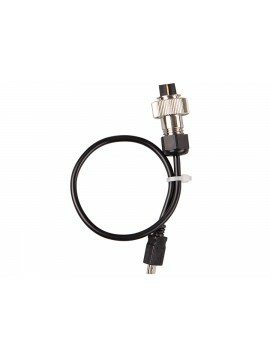 Allows AT Gold, AT Pro, AT Pro International, ATX or Sea Hunter Mark II to connect with WT-1 Wireless Transmitter (PN: 1627500). Field testing the Z-Lynk wireless system. Extended Hunting Time—Get up to 30 hours of operation per charge. Recharge the Z-Lynk modules with any micro-USB charging port—on your laptop, in your car, or with a USB power block such as a smartphone charger. Please Read. For all shipping you must provide a valid, legitimate, shipping address that is verified at Paypal. I may withhold shipping until a verified address is sent to me. I will only ship to the United States and Canada. DOMESTIC BUYERS - FREE SHIPPING TO THE UNITED STATESI use UPS ground delivery. All products covered by a manufacturer warranty during the warranty period must be returned to the manufacturer for repair or replacement. I will be happy to help you with any questions, contact information or assistance.If for any reason, your product does not operate as as-advertised, please contact me or the manufacturer for support. If there is a problem, I will be more than glad to issue a refund.The return of any damaged merchandize is the responsibility of the buyer. All return shipping costs are the responsibility of the buyer. PURCHASING YOUR GARRETT Z-Lynk Wireless Headphone System. For purchases I prefer Paypal. However, if you would rather use a different payment method please contact me. Remember, the Z-Lynk Wireless System requires use of headphones with 1/4" headphone jack connector. And you can use this system for any metal detector. 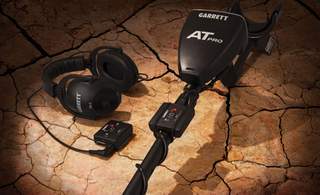 If you plan on using the AT Gold, AT Pro, AT Pro International, ATX Sea Hunter, or Mark II you need the Z-Lynk 2 pin connector in order to connect with WT-1 Wireless Transmitter. See below. No longer have you’re headphone cable become tangled on tree branches and scrub brush in areas like this. The Z-Lynk wireless headphones are perfect for use in these areas.